The potential drones have to shape our future just boggles the mind. In fact, new applications for these amazing remote, obstacle-avoiding flyers almost seem to emerge on a weekly basis! Here’s another one you’ll probably find interesting. Researchers from the Woods Hole Oceanographic Institution are using one to collect bacteria samples from whale blows. Their goal: To better understand the health of these gentle giants of the deep. Drone technology, however much it blows us all away, is still very much in its infancy. Right now most of us view them as great platforms for capturing epic video footage or taking unique bird’s-eye view snaps. They’re also incredibly agile flyers, making them a huge amount of fun to throw around the sky. Just check out some first person view (FPV) drone racing and you’ll see what I mean. 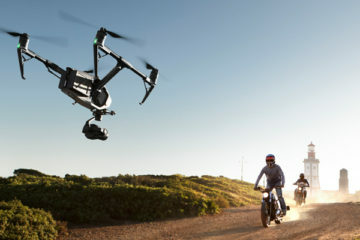 But in the not-too-distant future these remote, obstacle avoiding flyers look set to become a big feature in all our lives – whether it be the convenience of getting takeaways on the fly, the delivery of a fancy new gadget at home, or receiving life-saving medicine on a trail when you need it most. On the conservation front, drones are already being used for applications such as game counting, anti-poaching operations and tree cover analysis. And, after bashing themselves silly in small boats for years while collecting whale blow samples, researchers from the Woods Hole Oceanographic Institution (WHOI) and colleagues have just discovered another one. 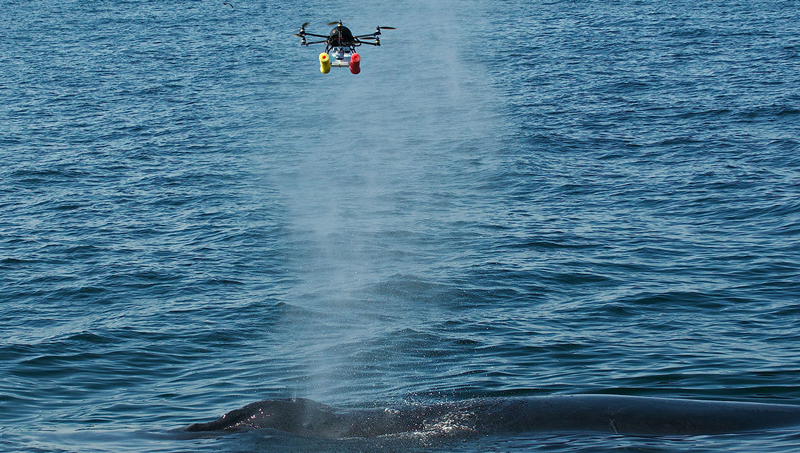 The Woods Hole Oceanographic Institution’s hexacopter (six rotor) drone hovers for a few seconds in the whale’s blow to collect a sample. Photo by Michael Moore, Woods Hole Oceanographic Institution. The old way of doing things involved using a small boat to track the whale. Once close enough, they would then collect a sample by holding a long pole with a large petri dish fixed to its tip, as close to the blowhole as possible. Although a bit of a mission and hard work, it proved to be an efficient method. But the researchers always worried about how they were changing the whale’s behaviour and adding to its stress. Wanting to find a less intrusive way to gather the necessary data for assessing the health of whales in the wild, they turned their problem-solving skills to the skies. Thanks to this chance discovery collecting samples has now become much easier. 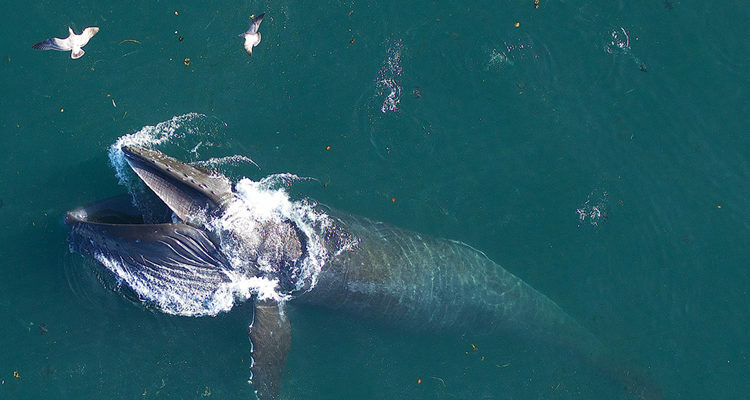 Now, once the whale is visible in the frame of the drone’s down-facing camera, high-resolution images are first taken for later analysis of body conditions and overall health. Then, with the help of some rapidly barked out directions, Durban pilots the drone a couple of metres above the blowhole. Finally, some of the blow (when it happens) lands on a sterilised petri dish that’s attached to the top of the drone. 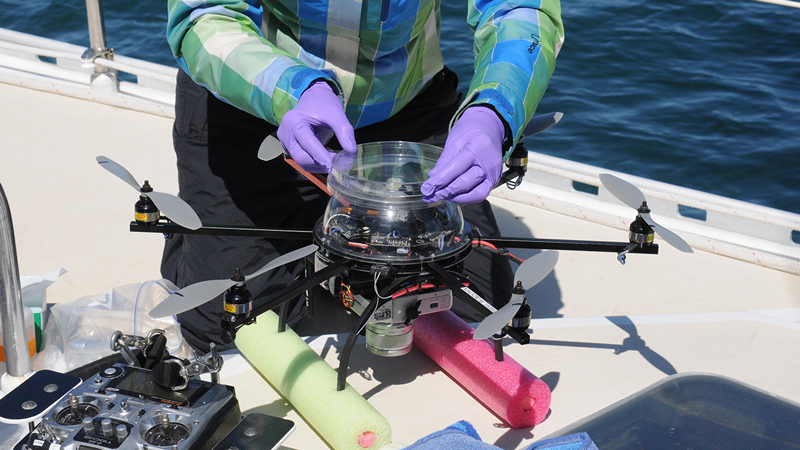 Researchers attach a sterilized petri dish to the top of the hexacopter to collect some of the whale blow. WHOI scientists Carolyn Miller and Amy Apprill sequenced the genetic material found in the samples. Photo by Véroniqe LaCapra, Woods Hole Oceanographic Institution. For this study, blow samples were collected from two different humpback populations: 17 from whales in the coastal waters off Cape Cod and nine from whales near Vancouver Island, Canada. The team then sequenced the genetic material found in the blow samples to determine what kinds of microorganisms are living in a whale’s respiratory tract – giving them a better understanding of what microbes are commonly found in healthy whale breath. 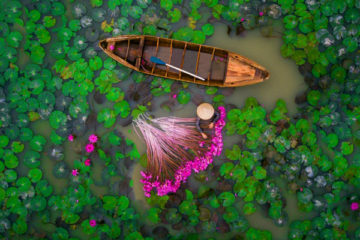 Check out these award winning drone photos, they’re stunning!